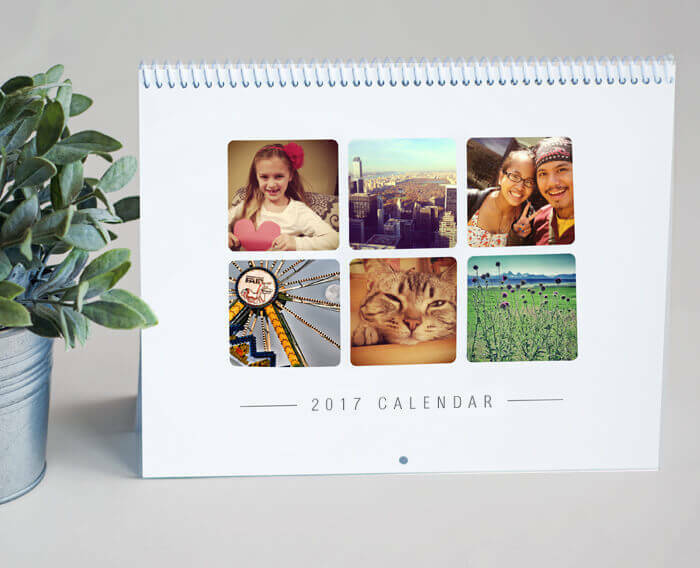 Create a popular 8.5×11″ spiral bound calendar with your photos. Choose from various styles and design choices. Go big or stay home! Tack this 12×18″ calendar to your wall or put it on display for access at-a-glance. 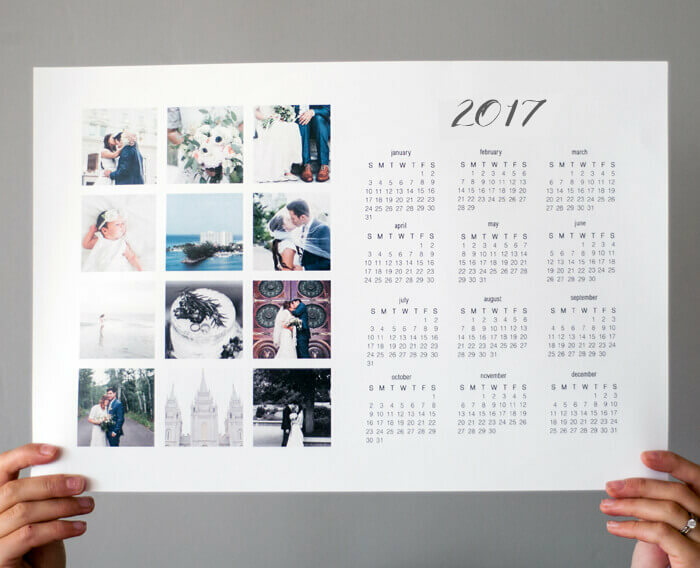 This modern calendar option features your images on 12 different single pages – clipped together for fun. Looking for a corporate calendar option? 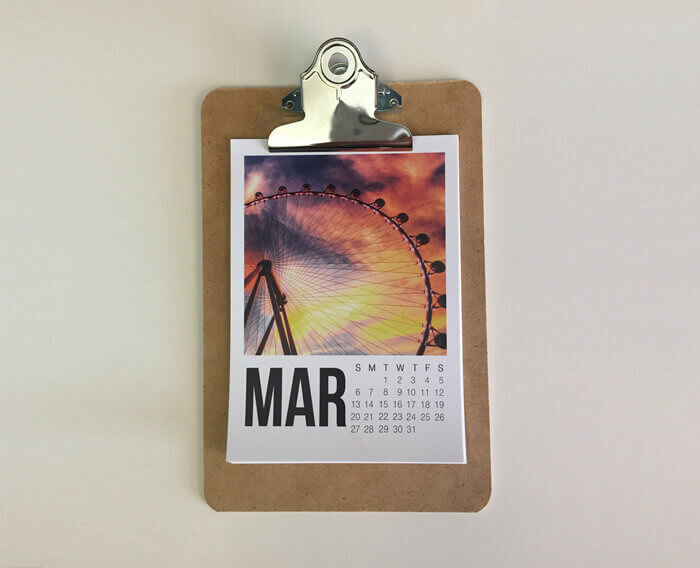 Let us know and we’re happy to custom design the perfect calendar for your business.